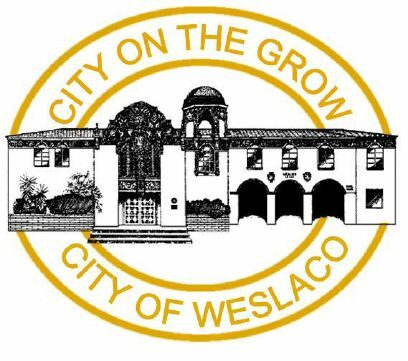 WESLACO — The city commission responded to a call for better drainage from citizens whose homes were flooded by selecting an engineering firm Tuesday to conduct an assessment of current stormwater infrastructure. The city commission heard from representatives of Halff Associates, Sigler, Winston, Greenwood & Associates, Perez Consulting Engineering and Cruz-Hogan Consultants, who pitched their firms’ work history and expertise in response to the city’s request for qualifications. Halff Associates won over the commission and will draft a stormwater improvement plan. The firm will also seek grants the city may use to pay for costly drainage infrastructure upgrades. A Halff Associates representative told commissioners the firm would seek grant money from the Texas Water Development Board and Community Development Block Grant program, among other state and federal agencies. The hiring of Halff Associates, a Richardson-based firm with offices in McAllen, comes after a flood in late June affected about 25 percent of residents in the city. Hundreds of residents at a city-held forum following the flood demanded commissioners act to prevent water from seeping into their homes again. Some of the residents were also flooded in 2015. Weslaco is among other local and county governments, including the Hidalgo County Drainage District No. 1, seeking to upgrade drainage in the short and long term. The drainage district is asking voters to approve a $190 million bond for drainage improvements this November. Property owners in the county would likely see a 3-cent hike in the tax rate, if approved. The bond would pay for upgrades to culverts, drainage ditches and construction of added regional detention facilities, among other projects. In Precinct 1 alone, upgrades would have a direct impact on more than 1,400 homes, including some in the Las Brisas subdivision, Commissioner David Fuentes told the Weslaco City Commission. Following the flood, Halff Associates conducted a post-storm assessment of Precinct 1. The firm is expected to use two-dimensional modeling to determine how proposed drainage improvements, such as larger pipes or added regional detention facilities, will affect neighborhoods. The city created a drainage capital investment fund this year. Monies borrowed through a recently approved $4 million certificate of obligation bond will be placed in the fund and used for drainage improvements following the assessment by Halff Associates.